• Click in the result. You’ll see an empty placeholder to its right. This is the units placeholder. • Click on the units placeholder and choose Unit from the Insert menu. 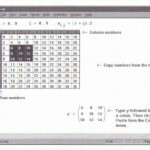 Mathcad opens the Insert Unit dialog box. This is described in detail in “Computing with units” on page 168. 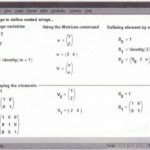 • Double-click on the unit in terms of which you want to display the result. 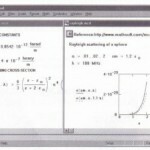 Mathcad inserts this unit in the units placeholder. Another way to insert a unit is to type it directly into the units placeholder. This method is more general since it works not only for built-in units but for units you’ve defined yourself and for combinations of units. • In the units placeholder, type dyne. • Click on the unit you want to replace. • Choose Unit from the Insert menu. • In the scrolling list of units, double-click on the unit in terms of which you want to display the result. Click in the name of the unit you want to replace. 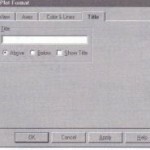 • Delete the unit name by drag-selecting it and pressing [Del]. 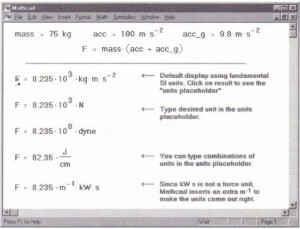 Figure 9-4 shows F displayed both in terms of its fundamental SI units and in terms of several combinations of units. 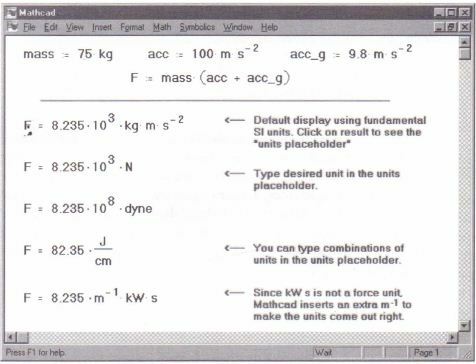 When you enter an inappropriate unit in the units placeholder, Mathcad will display whatever combination of base units that make the result have the right units. For example, in the last equation in Figure 9-4, you see that k W . s is not a unit of force. 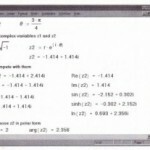 Mathcad therefore inserts m-l to cancel the extra length dimension. Whenever you enter units in the units placeholder, Mathcad divides the value to be displayed by whatever you enter in the units placeholder. This ensures that the complete displayed result-the number times the expression you entered for the place holderis a correct value for the equation. 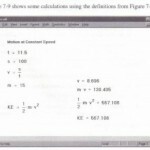 Conversions involving an offset in addition to a multiplication, for example gauge pressure to absolute pressure, cannot be performed directly with Mathcad’s unit conversion mechanism. The techniques described in this chapter are not restricted to units. You can put any variable, constant. or expression in a units placeholder. 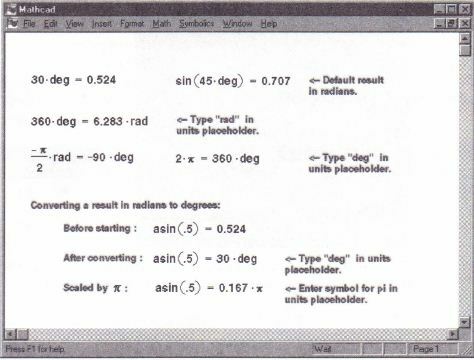 Mathcad will then redisplay the result in terms of the value of whatever is in the units placeholder. 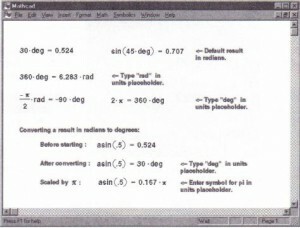 Just remember that whenever you type something in the units placeholder, Mathcad will change the calculated result so that the complete displayed result-the number times the expression you entered in the placeholder-is correct. • Click on the units placeholder.